Syrian Kurdish leaders seek a Russian-mediated deal with the Syrian government regardless of US plans to withdraw from their region, a senior official reported. The deal would mark perhaps the most important milestone because the two biggest chunks of Syria splintered by seven years of war would be rejoined, leaving only a corner in the northwest in the hands of militants. Senior Kurdish official Badran Jia Kurd told Reuters that the Kurdish-led administration, which runs much of northern Syria, presented a roadmap for an agreement with Syrian President Bashar al-Assad during recent meetings in Russia. “The final decision is to reach an agreement with Damascus, we will work in this direction regardless of the cost, even if the Americans object,” Reuters quoted Jia Kurd as saying in the northern Syrian city of Qamishli. 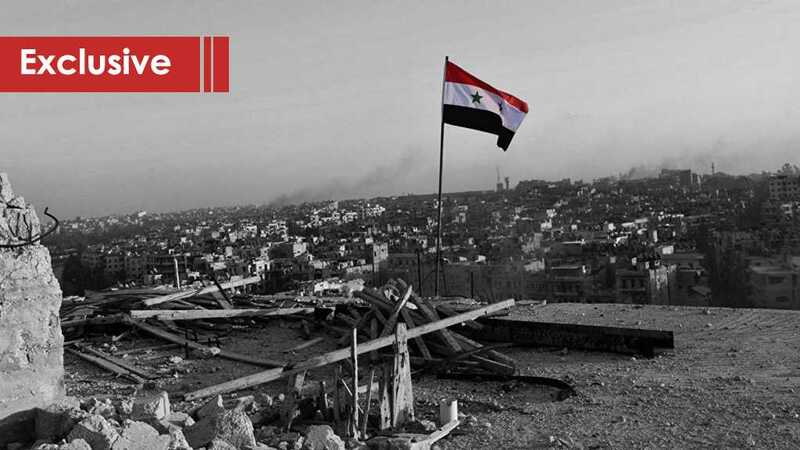 The main aims of the roadmap, the report added, are to protect the Syrian border with Turkey, to integrate the governing structures of northern Syria into the constitution, and to ensure a fair distribution of resources. Last week, residents in Manbij asked the Syrian government to retake the northern city on the Turkish border after a US pledge to withdraw troops from the Arab country. Jia Kurd said the local Kurdish-led administration was ready to cooperate with the government on ending Turkey’s occupation of Syrian territories and defeating the remaining terrorists in the north. The region is currently controlled by the US-backed YPG militia which Turkey views a terrorist group but the fighters have mostly avoided confrontation with the Syrian government during the war. A deal between the Damascus government and the Syrian Democratic Forces (SDF) over northeastern Syria is “inevitable,” a senior commander in the Kurdish-dominated group said during an interview with the France-Press Agency (AFP) on January 5. “Reaching a solution between the autonomous administration and the Syrian government is inevitable because our areas are part of Syria,” Redur Khalil told the AFP. The Kurdish commander also revealed that negotiations between his group and Damascus to reach a final formulation for administering the northern city of Manbij are showing some “positive signs.” Kahlil said that if a solution was reached there, it could be applied to the SDF-held areas in the governorate of Deir Ezzor. “We still have some differences with the central government, which need negotiations with international support,” Khalil said. Kahlil added that Russia could be a guarantor of any agreement between the SDF and Damascus and he does not rule out the possibility of deploying the Syrian Arab Army (SAA) along the border with Turkey. 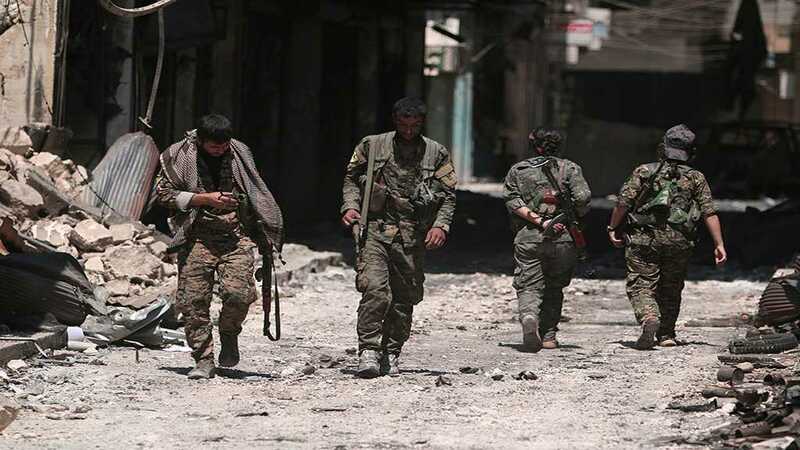 Last month, the Kurdish People’s Protection Units (YPG), which is the core of the SDF, announced its withdrawal from Manbij and called on the SAA to protect the city from Turkey’s threats. The army responded within few hours and deployed a large force in the outskirt of the strategic city. At the end of the interview, Kahlil stressed that the SDF will not withdraw from the Kurdish areas in northeastern Syria. However, he said that group could be integrated into the SAA under a future agreement. This new reaility in the relations between the SDF and the Damascus government is mostly a resul of Donald Trump’s surprise decision to withdraw troops from the war-torn country. Currently, Washington is trying to manipulate the decision in order to maintain military presence there. If this happens, the SDF will likely back away from any deal with the government as it had done before. بولتون يبحث مع الأتراك سبل “إدارتهم للأراضي السورية”! Turkey on Friday said Syrian Kurdish militants “does not have the right” to appeal to Damascus for help to counter a threatened Turkish offensive in the north. The Kurdish People’s Protection Units (YPG) “controlling the area with arms does not have the right or power to make a statement or invite other elements on behalf of the local population,” the Turkish defense ministry said. “We warn all sides to stay away from provocative actions and making statements that will bring further instability to the region,” the ministry said in a statement. Syrian government forces on Friday entered the strategic northern city of Manbij, held by the YPG since recapturing the area from the ISIL Takfiri group in 2016.